We had a great response for the Coastal Bookmark Challenge last month. Thank you to all of the ALSC participants! And a big thank you to Jackie Romanoski, Art Director at Paper Magic Group for choosing the top 6 design winners! Here are the Coastal Bookmark Winners! Congratulations, top 6 designs! 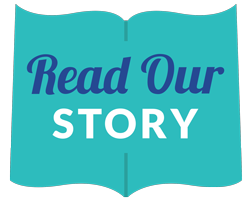 See the bookmark design submissions from ALSC members below. Linda Elliott, Creative Connection, Inc. This entry was posted in Art Challenges + Galleries, Art Licensing Show + Tell on August 23, 2016 by Art Licensing Show . 23 responses to Coastal Bookmark Challenge ~ Winners Selected! I just had a chance to look through all of your bookmark art! It is FABULOUS!! I can’t believe how different each one is and yet each so beautiful. What a talented group of artists. Congratulations to all of you!! C O N G R A T S to all the winners . . .
What a fun summer Challenge! Congrats to the winners. I love seeing all the creative submissions with such a variety of styles. Big cheers to all the winners, such wonderful work by all the contestants! All this wonderful art makes me want to go to the beach!! Nice work everyone! I’m truly honored to be selected Jackie. Thank you! Thanks for encouraging me to submit my bookmark design Valerie Hart and for organizing the files for judging So many amazing designs were submitted, I am glad I didn’t have to choose!!! Thanks so much Cherish for letting me help out! Just LOVED looking at all of the beautiful artwork. And your watercolor sea turtles design was STUNNING! Great challenge! fun fun fun to see such a diverse range of ideas! So glad!! I’m pleased looking at all designs too! Thank you for choosing my bookmark: I was unbelieving first, and now happy to stay together with you!! Wow, I don’t even know what to say – - thank you for selecting my bookmark! All of the entries are beautiful and I’m so honored to be part of this whole group. Yes Congratulations! It’s nice to be a part of such a talented group!!! Great variety and lots of fun to peruse… Congratulations to the winners, all…. Beautiful work! Congrats to the winners! 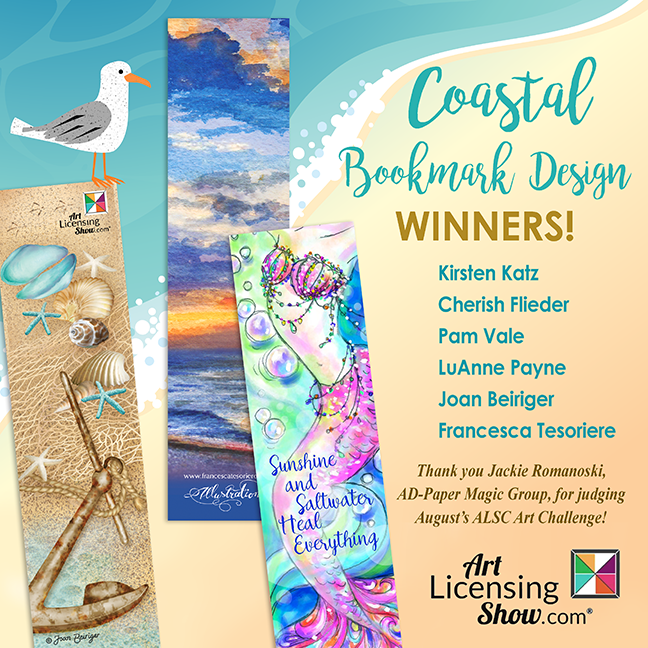 Congrats to the winners of the Coastal Bookmark Design Challenge! So much fun looking at all of the beautiful beach designs!! Thanks Jackie for selecting my coastal bookmark! And best of all is seeing the variety of coastal designs that our talented ALSC artists have created for this art challenge. such a B E A U T I F U L entry Joan!!! CONGRATS!!! Omg! So excited! Thank you for choosing my mermaid and congratulations to the other 5 winners! Love all of the designs. Congrats to all the winners! LOVE seeing everyone’s fabulous entry!